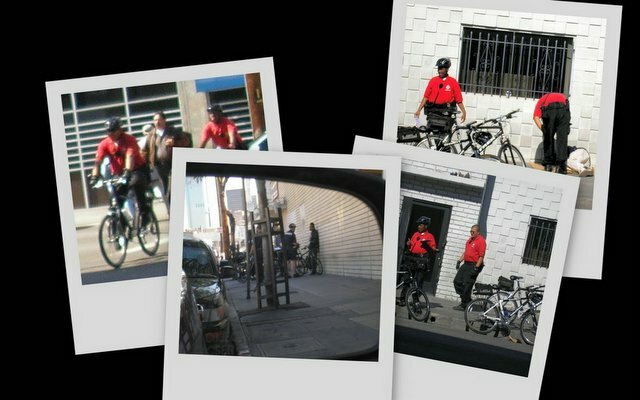 In training last week, I learned the difference between the Red Shirt Security and real police. All this time I thought that the people with Billy Clubs and handcuffs and guns on bikes were the cops. Alas, they are private security hired by the local businesses to keep their specific properties safe. Some how this translated into them harassing and waking up the homeless on Skid Row.